Enriching our community through performing arts experiences. In 1971, a small group of friends wanted to see about expanding opportunities for adults in the community to take part in theater. They called together a public meeting in hopes of ten to fifteen people joining this group. They were blown away by the number of people who came, which ended up being closer to 50 people. They knew at that moment this was something the community definitely wanted! Members and benefactors are the backbone of this group. As a non-profit, we rely on the generosity of our members and benfactors to help support the everyday operations of our group, as well as the productions. Membership comes with its perks as well. Check out the Membership page for more information on how you can support this group. In 2016, Tree County Players embarked on an ambitious journey. They needed a place where they not only could hold auditions and rehearsals, but, ideally, would also be home for their performances. They needed a theater! They found the ideal building and began a capital campaign to help support the transformation. They are still in the midst of the renovations but have accomplished quite a bit in the past two years. 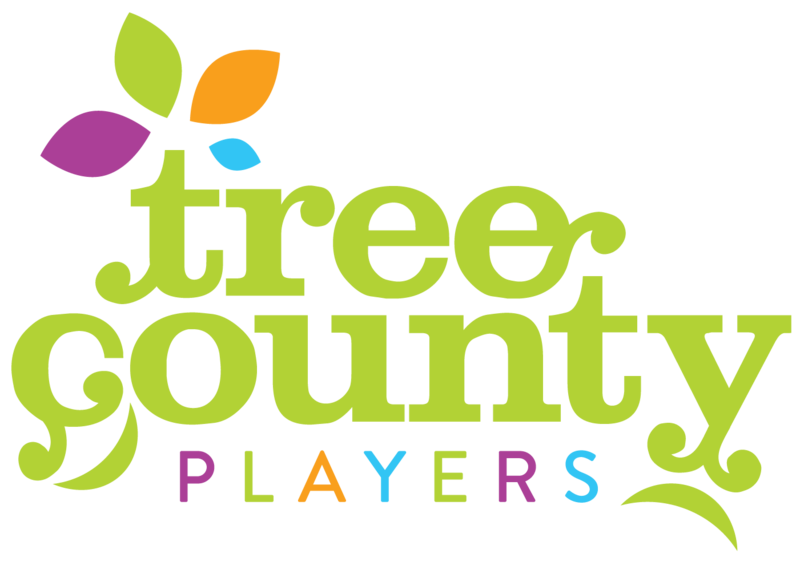 Welcome to Tree County Players (TCP)! We are an all-volunteer community theatre company and have been presenting high-quality and affordable shows in Decatur County since 1971. TCP offers theater lovers various opportunities for involvement. Consider sharing your talents, or be part of our audience. There’s a role waiting for you. Check out the “Get Involved” section under the Membership tab. Discover the different ways you can be part of a fun and rewarding experience. Come “play” with us! If you want to be up-to-date on all things TCP, fill out this form and we'll be sure to keep you notified of auditions, upcoming shows, and so much more. Don't forget to stay in touch on all of our social media platforms as well. Let us know what you thought of a show, share pics with us, or let us know what show you'd like to see TCP produce using the hashtag #treecountyplayers or #tcpgreensburg. Bravo! We'll keep you posted on all the latest TCP news! Stay up-to-date with all things TCP, from director notes to behind-the-scenes information for the show that is currently in production. We chose Smoke on the Mountain because there’s quite a large bluegrass community in Greensburg and SE Indiana. Even though, in the original show, the Sanders Family singers are the musicians, we decided to cast the band separately, rehearsing them separately as well so folks coming to the show would have as great a musical experience as a theater comedy experience.